Reliance chief Mukesh Ambani has been announced free of cost a 4G feature Phone dedicate to you at the company’s Annual General Meeting on 21 July 2017. The word “free” ring the bell of free data in our minds but Reliance Jio have created an idea in our minds that when Jio says it’s free, it means completely free a SIM, free data, free SMS, free Jio apps, free voice calls and free JioPhone. 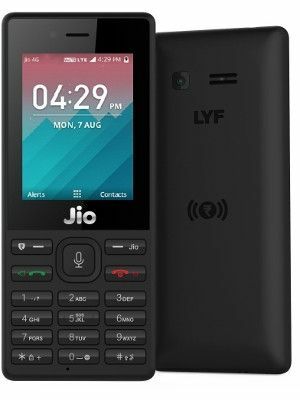 Now the JioPhone is a 4G feature phone with some smart features and support for VoLTE calls that is effectively free. The Reliance Company said that the JioPhone is free but here’s a simple math’s that will help you understand that there are no free about the phone. But its recharge plans are too good and cheap rated. When user has to subscribe to the rupees 153 plan while users have to pay for buying the phone at the time rupees 1500 + 153 = 1653 is total rupees. Then comes the recharge of rupees 153 every month, which means for three years you have to pay, rupees 153 x 36 months = total amount rupees 5508. Now, you pay on JioPhone for three years is rupees 5508 + 1500 security deposit = total amount rupees 7008. Using the same method and if you will have to subscribe to rupees 309 plan, we can calculate the cost for the plans are rupees 309 x 36 months + security deposit 1500 = total amount rupees 12,624. After three years you will get rupees 1500 security money back when you return the phone. Finally your cost is going to be rupees 11,124 for three years. However, there is minimum amount you need to pay to use it. Take a look, considering you are going to use the phone for three years.